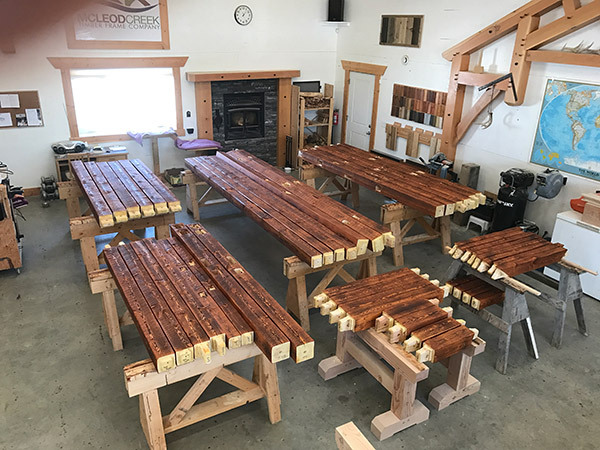 We endevoured to participate this year, but unfortunately, we will not be going to the Edmonton Cottage Life and Cabin Show 2018 as hoped. 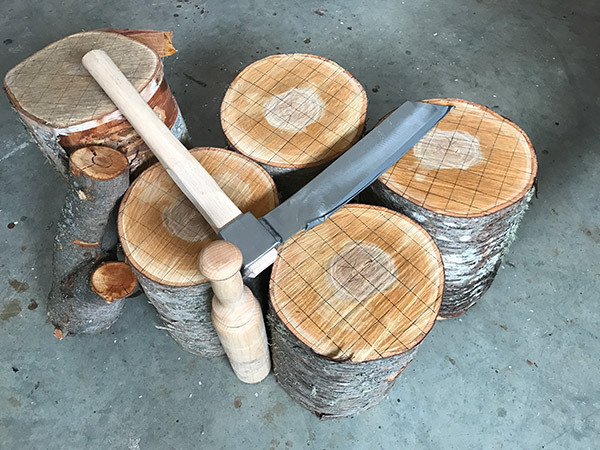 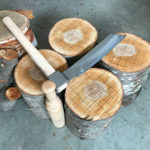 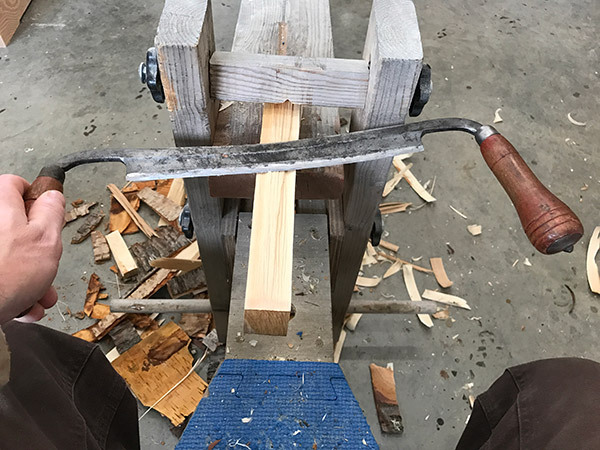 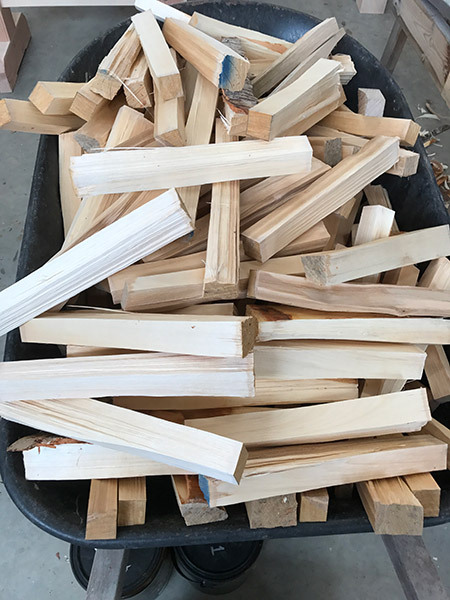 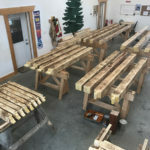 Instead, we want to invite all those interested out to our shop to view what we have going on – see how we do things, ask questions, even potentially try out some of our tools and techniques! 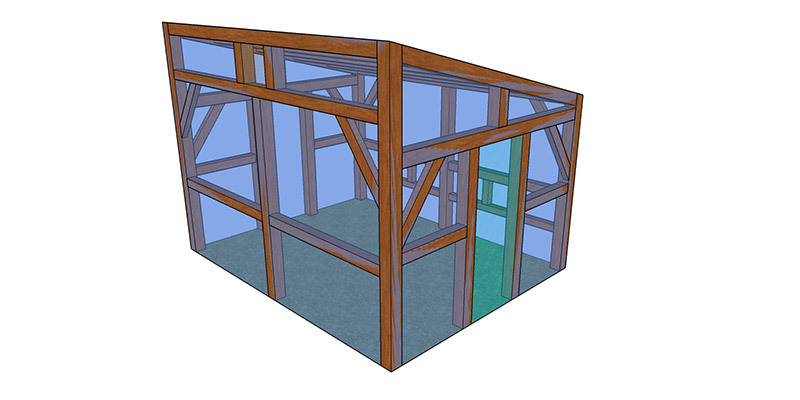 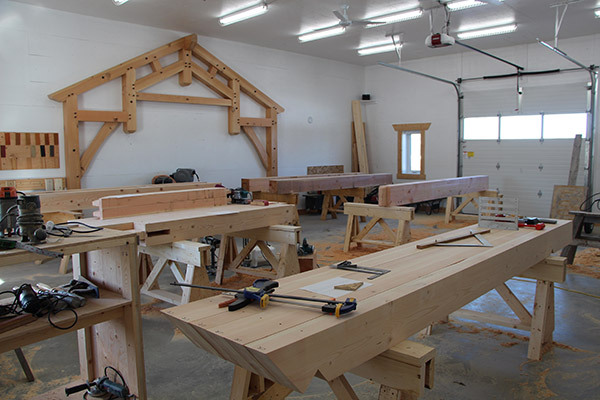 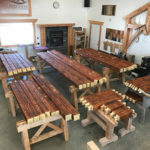 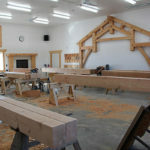 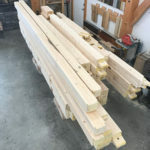 Our shop Open House will also feature a small timber frame raising on our property – a nice 12’x16’ timbered greenhouse. 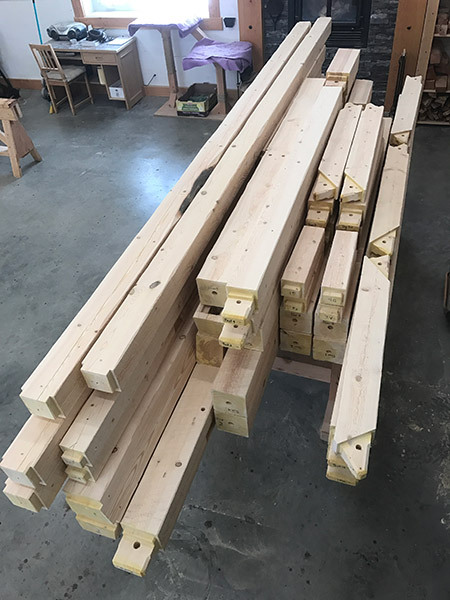 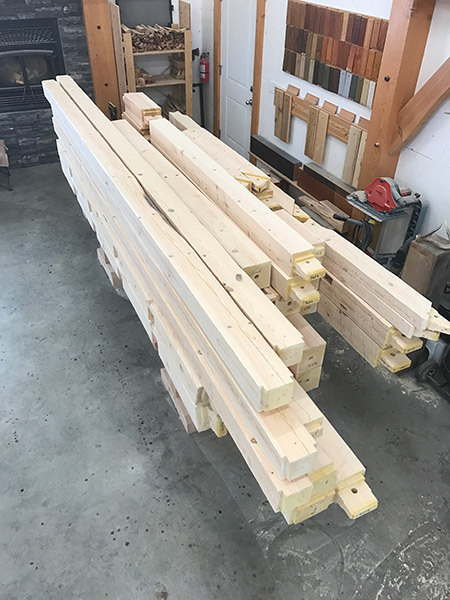 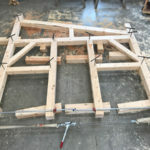 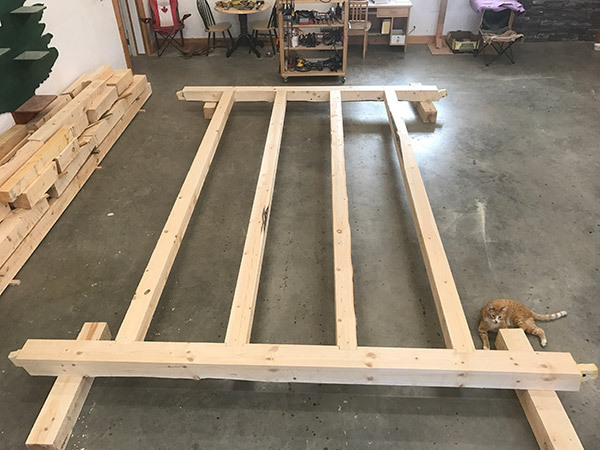 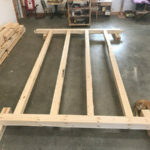 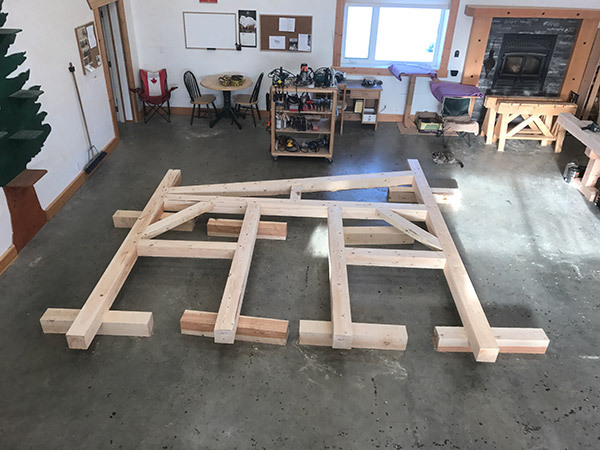 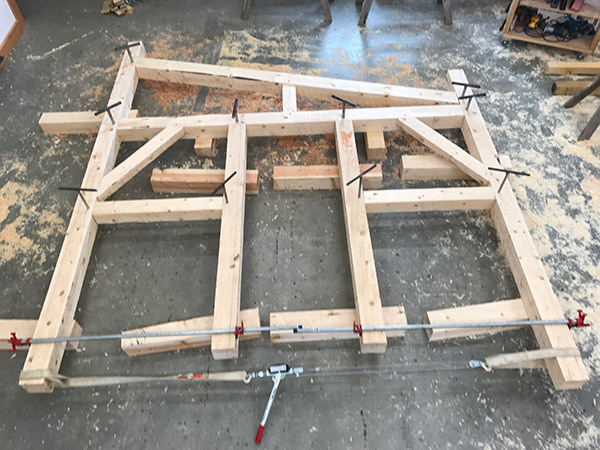 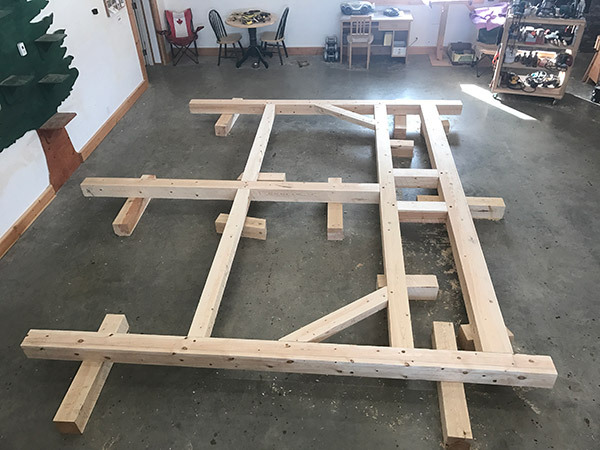 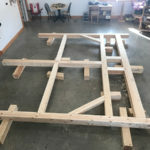 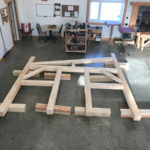 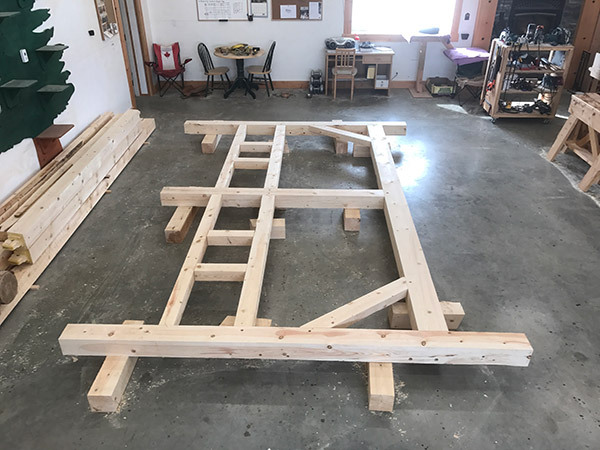 Some close friends and family will be helping to raise this frame, so that you may see how everything goes together and it will allow you to see how potentially your timber frame project may go together on your property! 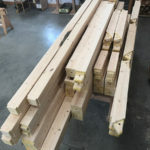 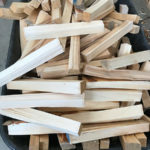 made “in shop” white birch pegs to hold our frame together. 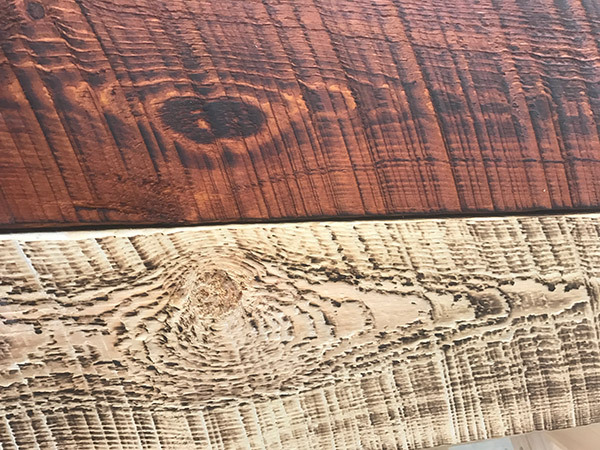 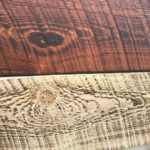 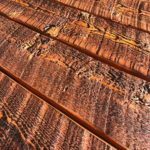 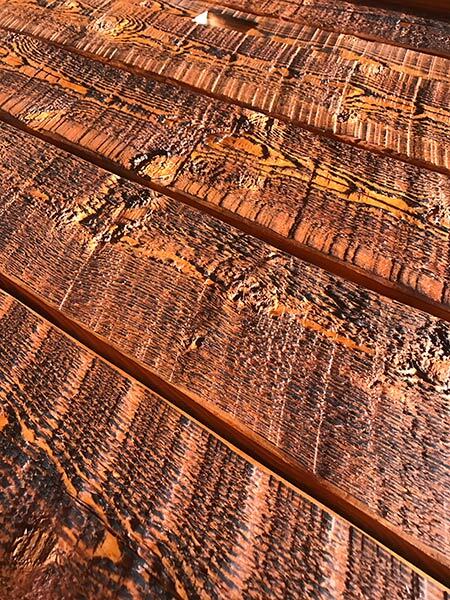 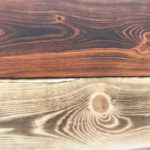 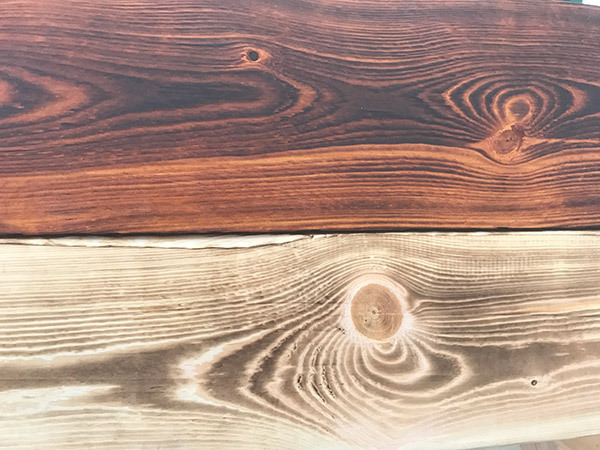 The finishing of the timbers has allowed us to really accentuate the saw marks and grain of the wood – it truly looks amazing! 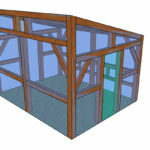 We will be growing loads of great things in this greenhouse for years to come! 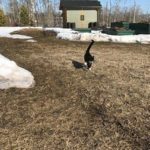 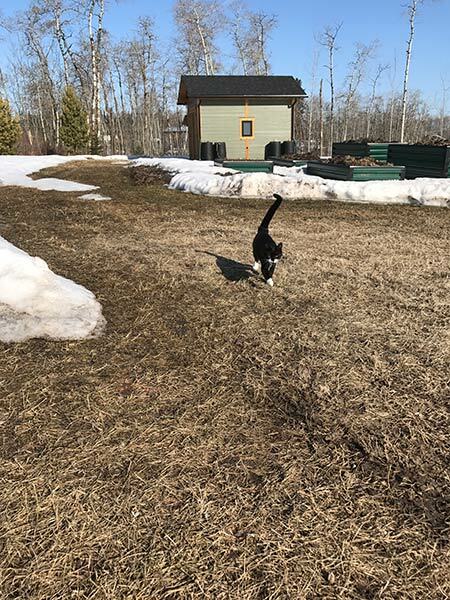 With the late winter/spring season, we are slowly seeing the snow melt out here. 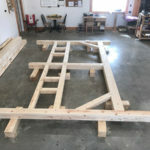 Once the ground is suitable enough to get going, I will be putting in some small foundations for the timbers to sit on. 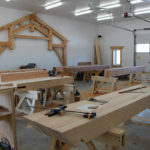 Therefore, we do not have a date set for this raising/open house just yet. 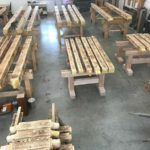 I will be sending out another notice once we have a date set. 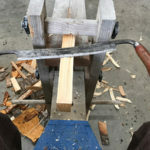 Come on out and join us! 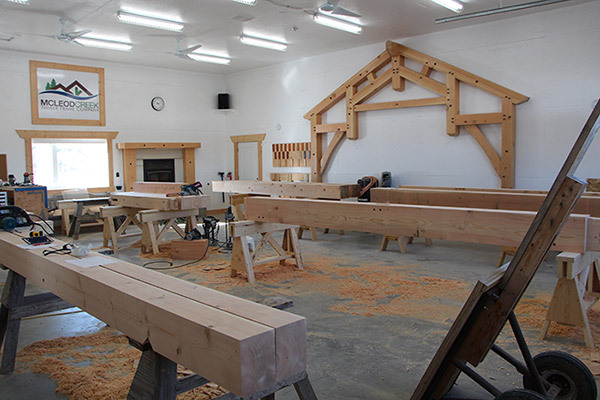 It will be a great day – might even be some snacks and refreshments…hope to see you there! 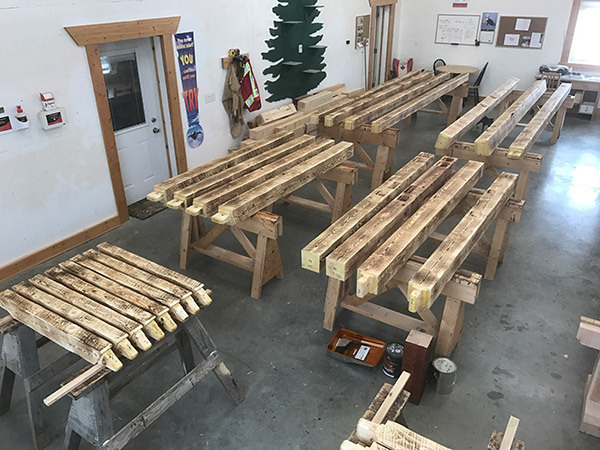 Come check out what we have going on! 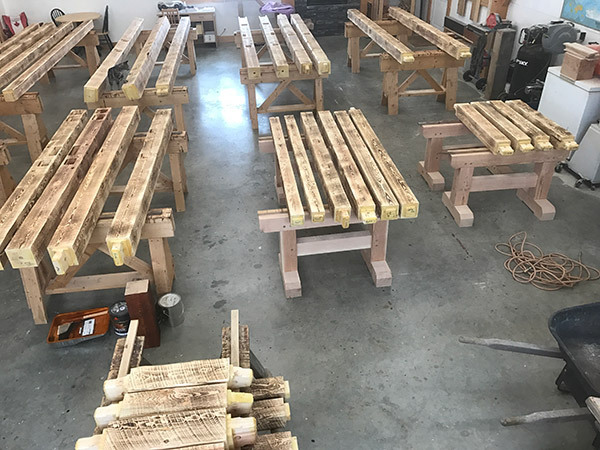 Ready for the first coat of stain!